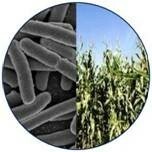 In a previous post on this blog, back in June 2010, I posted a brief discussion of the regulations of the U.S. Food and Drug Administration governing animal feed and feed additives, as they may impact the use of spent microbial biomass from biofuel fermentations in animal feed. It has been frequent practice for years to use such microbial biomass (which most often comprised common yeast strains) as a component of dried distillers grains or other products used as animal feed, and many companies developing genetically modified yeast strains or other microorganisms for use in ethanol fermentations are investigating how their strains, once inactivated after fermentation, can be used for this purpose. In this post, I’d like to go into a little more detail about the FDA regulatory structure under which such uses would be reviewed and approved in the United States. The use of spent biomass in animal feed, or to produce a substance to be used in animal feed, would be regulated in the U.S. by the Food and Drug Administration. FDA regulation of animal feed is not much different from its regulation of human food, especially for feed intended for use in food-producing animals. Specifically (and contrary to popular belief), FDA does not regulate “food” per se: whole food products are presumed to be safe for consumption, but FDA has enforcement powers to be sure marketed food products are not adulterated. So, FDA regulation is largely directed at new substances proposed for use as human food additives or as animal feed additives. Under the Federal Food, Drug and Cosmetic Act, most such new substances that are intended to be components of food or to affect components of food are considered to be “food additives” and must be approved through the submission of a Food Additive Petition or, in the case of products for animal consumption, “feed additives” requiring Feed Additive Petitions. Food or Feed Additive Petitions generally rely on manufacturer-generated data on the manufacture, composition and safety of the additive, and usually include toxicology testing. FDA must undertake formal rulemaking to grant approval of a food additive petition. The law further provides that “substances that are generally recognized, among experts qualified by scientific training and experience to evaluate their safety as having been adequately shown … to be safe under the conditions of their intended use,” are not considered as food additives. This created the category of substances known as GRAS: “generally recognized as safe”. Certain substances were “grandfathered” in as GRAS at the time of the legislation based on common prior safe use in foods, other GRAS substances were later affirmed by FDA to be GRAS, often in response to manufacturer petitions, under a petition process established in the regulations (21 CFR Part 170.35 for human food and Part 570.35 for animals). These GRAS affirmations were generally based on scientific information in the public domain. It is important to point out that GRAS determinations are not made for the substance per se, but for the substance in its intended use, so that a substance might be GRAS for one food use but not for another. By 1997 FDA concluded that it could no longer devote substantial resources to the GRAS affirmation petition process. On April 17, 1997, the agency published a proposed rule outlining a GRAS notification process for both human and animal foods to replace the petition process. Under the new proposal, applicants would submit notifications containing data that supports their own determination that a substance should be considered as GRAS. The FDA would review the notification and either accept the determination based on the applicant’s data, or request further data. The agency also announced that its Office of Food Additive Safety would immediately institute the human food notification scheme as a pilot program, and that it would accept and administer GRAS notices as described in the proposed rule until a final rule was published. To date, a final rule has not yet been issued, but FDA has been operating the human food notification program as an interim policy since 1997. The FDA website describes the pilot program for human GRAS notifications. The 1997 notice did not originally extend the pilot program to animal feed substances, but on June 4, 2010, the Agency announced the creation of an animal feed GRAS pilot program, to be administered by the FDA’s Center for Veterinary Medicine (CVM). The program for animal feeds is described on the website, and like the human program, it now allows applicants (called “notifiers”) to submit notifications in which they inform the Agency that they believe an animal feed substance qualifies for GRAS status. The website gives the following guidance for the information that should be included in the notification. [Notifications should provide] a succinct description of the substance, the applicable conditions of use, and the basis for the GRAS determination (scientific procedures or common use in food). The applicable conditions of use of the substance include the foods in which the substance is to be used, levels of use in such foods, the purposes for which the substance is used, and the specific animal species intended to consume the substance. If the intended use of the substance includes administration to food-producing animals, a human food safety component must be included. The notice should also include information about the identity and properties of the substance and a discussion of the notifier’s reasons for concluding that the substance is GRAS for its intended use. The information about the substance generally is chemical, toxicological, and, if applicable, microbiological in nature. The notifier should discuss information supporting the GRAS determination, as well as any information that would appear to be inconsistent with a GRAS determination, and explain why, in light of the totality of the information, the notifier concludes the substance is GRAS under the intended conditions of use. In the animal feed GRAS program, FDA CVM evaluates whether the notice provides a sufficient basis to support a GRAS determination or instead whether information in the notice, or information otherwise available, raises issues that might question the GRAS status of the proposed use. The Agency issues an opinion letter at the end of its review, and for those notifications that it clears for commercialization, the Agency’s letter says it has “no questions” about the applicant’s determination of GRAS status but states that FDA is not making its own determination. Alternatively, the letter may state the Agency’s conclusion that the notice does not provide a sufficient basis for a GRAS determination (e.g., because the notice does not include appropriate data and information, or because the available data and information raise questions about the safety of the substance). Since implementing these policies, FDA has maintained inventories of received and pending GRAS notices. The human product inventory includes well over 400 entries (about two dozen of which appear to be pending at any given time). The inventory for animal feed GRAS notices is much smaller, since it lists only those notices received since the pilot program began in 2010. At this writing, there are 14 entries on the animal product inventory, and only 3 of these have been approved (i.e. these applications received FDA’s determination that they had “no questions”). Of the ones not approved, a few were withdrawn by the submitter while others bear the notation “Notice does not provide a basis for a GRAS determination”. Two of the rejected notices and the one that is still pending appear to cover products derived from recombinant microorganisms. Nonconfidential versions of the non-withdrawn notices, and FDA’s decision letters for each, can be downloaded from the inventory site. Because, historically, the microorganisms used to produce fuel ethanol have been yeasts or other well-known species, companies seeking approval to sell the spent biomass for animal feed have contemplated the GRAS route, but in principle the feed additive process could also apply. The GRAS process is usually considered to be less burdensome than the food or feed additive petition process (this is certainly the case for human food additives) and so that is another reason the GRAS route might be favored. Although the law and regulations give FDA the ultimate authority to make decisions on food or feed additive petitions and GRAS determinations, in practice CVM operates in cooperation with the Association of American Feed Control Officials (AAFCO), which is composed of state, federal, and international regulatory officials who are responsible for the enforcement of state laws regulating the safe production and labeling of animal feed. According to FDA’s website, FDA and AAFCO work together on animal feed regulation, particularly in the establishment of definitions to describe new feed ingredients. Each year AAFCO publishes its Official Publication which includes a model feed bill for states to adopt in regulating feed products and a list of accepted feed ingredients. Most states have adopted all or part of the model feed bill and allow feed ingredients listed in the publication to be used in their respective territories. FDA and AAFCO entered into a memorandum of understanding in 2007, which was renewed in 2012, which specifies how these organizations would work together on animal feed regulation, allows FDA to formally recognize AAFCO’s list of feed ingredients, and defines the role FDA can play in deciding on the suitability of feed ingredients proposed for addition to the list. In practice, CVM assigns scientists to work with AAFCO in reviewing petitions for new feed ingredients, and this cooperation includes both GRAS petitions and feed additive petitions. AAFCO uses a “New and Modified Feed Ingredient Definitions Process” to determine the suitability of feed ingredients and to establish standard ingredient names, which FDA considers the common or usual name, used on feed labels as required by state and federal law. In addition, before it adopts a new feed ingredient definition or amends an existing one, AAFCO will ask CVM for advice and a letter of concurrence. There appears to only be one genetically modified biofuel production microorganism that has cleared the FDA/AAFCO process to achieve GRAS status, although it is not listed on the FDA website inventory. This is a genetically modified yeast strain developed by Mascoma Corporation. Mascoma announced in February 2012 that FDA CVM, after completing a scientific review, supported the use of this strain, the Mascoma Grain Technology (MGTTM) yeast product, as a processing aid in the production of animal feed, resulting as a byproduct of the corn ethanol conversion process (presentations made at the time of product launch in June 2012 identified the strain as S. cerevisiae expressing a glucoamylase gene). The February press release further said that CVM sent a letter to AAFCO supporting inclusion of the product as a feed ingredient on the AAFCO Official Publication. Mascoma later announced that the MGTTM yeast product would be jointly marketed with Lallemand Ethanol Technology under the commercial name TransFermTM for use by the fuel ethanol industry, and this product was officially launched at the June 2012 Fuel Ethanol Workshop. The path for new applicants to submit notifications to CVM for new GRAS determinations appears straightforward. The data requirements seem to be clear from the regulations and the various pages on the FDA CVM website. As with any regulatory matter, prior consultation with the Agency would be highly advisable, which is particularly true in this instance, where CVM officials would be able to provide specific guidance on how the process works, and how FDA and AAFCO work together. The fact that 10 of the 14 notifications submitted to CVM since the pilot program began in 2010 were not successful may imply that the standards and data requirements of the AAFCO are somewhat high, or it may simply reflect the fact that the notification program is new and may have been unfamiliar to applicants (the success rates for the human GRAS notification program seem much higher). Nevertheless, with proper advance planning, guidance from outside experts, and consultation with the Agency, GRAS status should be achievable for many modified biofuel production organisms intended for use in animal feed. The previous blog entry described the “Low Carbon Fuel Standard” (LCFS) regulations that have been adopted by the State of California. In this entry, I’ll describe LCFS laws on the books or proposed in other states or regions, as well as a proposal to establish a national LCFS that would replace or modify the existing RFS. The website of the National LCFS Project at the University of California Davis is a useful resource on both the status of state regulations and the prospects for a national law, and that website was the source for a lot of the information presented below. Oregon appears to be the only U.S. state other than California to make a definitive move to adopt its own Low Carbon Fuel Standard, in proposed regulations that in the process of being finalized. In 2009, the Oregon legislature set a goal of reducing the average carbon intensity of Oregon’s transportation fuels by 10% over a 10-year period, and it authorized the state’s Environmental Quality Commission to develop low carbon fuel standards to achieve this goal. However, it appears that it was not until April 2012 that the state’s governor, John Kitzhaber, asked the Department of Environmental Quality (DEQ) to begin the rulemaking process for this program. DEQ solicited the input of potential regulated parties and other interested stakeholders on the design of the program and its estimated fiscal impacts, and the agency accepted formal written comments on the proposed rules. for review by the Environmental Quality Commission in December 2012. The approach embodied in the draft rules focuses on decreasing the greenhouse gas emissions from fuels over time, through a two-stage program that would be phased in over a several-year timeframe. During an initial two-year period, fuel producers and importers would simply be required to report the lifecycle greenhouse gas emissions from the fuels they supply in Oregon, to allow DEQ to gather data and refine the program. Progressing to a second phase where fuel producers and importers would be required to take action to reduce GHG emissions would require approval by the legislature and the Environmental Quality Commission to take effect. The draft rules were presented in a public meeting held December 6-7, 2012. At this meeting, the Environmental Quality Commission voted to move forward with the first phase, and require gasoline and diesel suppliers to begin reporting the carbon intensity of their fuels beginning in 2013. The state legislature would then have to decide whether to move to the second phase, which would be to require fuel producers and importers to achieve a 10% reduction in carbon intensity by 2025. However, the legislation as adopted in 2009 included a sunset date of 2015 for the program, and Governor Kitzhaber has reportedly decided that the state won’t implement these reductions unless the Legislature lifts the sunset date in its 2013 session. It has been reported that proponents of the legislation will make a lobbying effort in 2013 in favor of extending the program past this sunset date. There is opposition to this program within the state. A group known as Oregonians for Sound Fuel Policy, a group of associations, businesses and organizations that represent heavy fuel-users, was formed shortly before the December 2012 EQB meeting, with the goal of opposing the LCFS policy. The members of this group are concerned that the policy will cause volatile fuel prices and create unnecessary government regulation, especially burdening small businesses. Other industry groups have been reported in the press to oppose the legislation as well. In May 2009, Washington Governor Christine Gregoire issued an Executive Order that directs the Washington Department of Ecology to assess whether the California LCFS or some variation would best meet Washington’s greenhouse gas emissions reduction targets. After a series of meetings in 2009 and 2010, a final report was released in February 2011. The LCFS considered in the report would be based on the goal of reducing transportation fuel carbon intensity 10% from 2007 levels by 2023, with reductions beginning in 2014. The report recommended that the program require only minimal reductions in the early years, followed by more aggressive goals as 2023 approached. No LCFS policy has been implemented, and the state has not yet decided how to proceed. In 2009, the governors of 11 states (Delaware, Connecticut, Maine, Maryland, Massachusetts, New Hampshire, New Jersey, New York, Pennsylvania, Rhode Island and Vermont) signed a memorandum of understanding aimed at creating a regional LCFS plan to reduce the carbon intensity of transportation fuels by as much as 15% percent over a 10 to 15 year period. These states then formed a consortium, the Northeast States for Coordinated Air Use Management (NESCAUM), to lead the effort to develop a draft plan, including solicitation of stakeholder comments. NESCAUM issued a draft final report in August 2011, in which it considered adopting a plan similar to the California LCFS program. This draft plan says the states are considering a reduction target of between 5 and 15 percent over a period of 10 or 15 years, although the baseline for measuring reduction was still under consideration. The plan would also create a credit system for companies that produce or import fuels below the carbon intensity targets, which could include some liquid biofuels, electricity, hydrogen or natural gas. The calculation of carbon intensity would include upstream and indirect emissions as calculated by the GREET model, similar to the California program. However, there is nothing on the group’s website that is more recent than November 2011, and it is not clear whether this plan will progress in the near future. In December 2010, the Midwestern Governors Association (MGA) Low Carbon Fuel Policy (LCFP) Advisory Group issued a policy paper outlining what a possible Midwestern state low-carbon fuel standard could look like. The advisory group included participants from the oil industry, environmental community, biofuels industry, utility industry, and auto industry, and represented a wide spectrum of views on the direction Midwestern fuel policy should take. The MGA report recommended a federal LCFP as opposed to a patchwork of state policies, but given uncertainty with federal policy, a regional approach was viewed as the next best option. This policy paper did not propose the adoption of an LCFP per se, and the report made clear that some members of the Advisory Group did not favor such a regional policy. It appears that the MGA did not pursue such an approach, and instead the group issued a report in February 2012 with more traditional policy recommendations for promoting biofuel development and use in the region (e.g. supporting the federal RFS, promoting the use of E15 ethanol, etc.). No low-carbon fuel policy has been implemented in the Midwest region, and it is up to member states to determine what action to take next. A study recently published by the Political Economy Research Institute at UMass Amherst examines some of the economic impacts of establishing a low carbon fuel standard (LCFS) in Minnesota. The study, titled “The Employment Impacts of a Low-Carbon Fuel Standard for Minnesota,” found that enacting a LCFS in Minnesota could create nearly 32,500 jobs when analyzed through 2025, and that this was the best of the three options analyzed for job creation in the state’s ethanol and biodiesel industries. The LCFS option was projected to lead to creation of 6 new corn ethanol plants and 10 cellulosic ethanol plants in the state by 2025. I don’t know whether this report has led to any significant interest within the Minnesota state government in adopting a state LCFS. British Columbia is the only Canadian province to adopt a low carbon fuel regulation. The Renewable and Low Carbon Fuel Requirements Regulation (RLCFRR), which took effect in January 2010, is intended to reduce British Columbia’s reliance on non-renewable fuels, help reduce the environmental impact of transportation fuels and contribute to a low-carbon economy. The RLCFRR provides a regulatory framework to enable the province to set benchmarks for the amount of renewable fuel in B.C.’s transportation fuel blends, reduce the carbon intensity of transportation fuels and meet its commitment to adopt a low-carbon fuel standard. The province’s overall goal is to lower provincial greenhouse gas (GHG) emissions by 33% by 2020. The RLCFRR has two major requirements: the Renewable Fuel Requirement, requiring 5% renewable content in gasoline beginning in 2010 and 4% renewable content for diesel in 2012 onward (originally 5% but revised downward in February 2012); and the Low Carbon Fuel Requirement, which requires a 10% reduction in carbon intensity by 2020. In 2010, the National LCFS Project was launched to study the potential implementation of a national Low Carbon Fuel Standard for the United States. The project was funded by the Energy Foundation and the William and Flora Hewlett Foundation. The participating researchers were from Oak Ridge National Laboratory, University of California, University of Illinois, University of Maine, Carnegie Mellon University, and the International Food Policy Research Institute. This group published two final reports in July 2012, one analyzing policy aspects of a national LCFS, the other focusing on technical aspects. The group distinguished a national LCFS from provisions now in place under the RFS. Most importantly, rather than having the limited number of rigidly defined categories under the RFS, an LCFS system would resemble the California regulations in establishing carbon intensity values for all fuels, and basing the target GHG reductions on this continuum of carbon intensities rather than on mandates for the specified categories of fuel. Another advantage of an LCFS is that unlike the RFS it could apply to all transportation fuels, not simply biofuels, and therefore promote overall GHG reductions across the entire transportation sector, possibly promoting innovation in reducing carbon intensity of fossil fuels. Among the group’s recommendations was the option of amending the RFS to incorporate principles of an LCFS, rather than replacing the RFS wholesale. It is too early to assess or predict the possible impact of this group’s recommendations so soon after release of its reports, but it is hard to see the necessary consensus develop in Congress in the near future to adopt a new regulatory framework such as this, particularly in view of the significant concerns about the RFS and its approach to promoting renewable fuels that are developing in Congress.